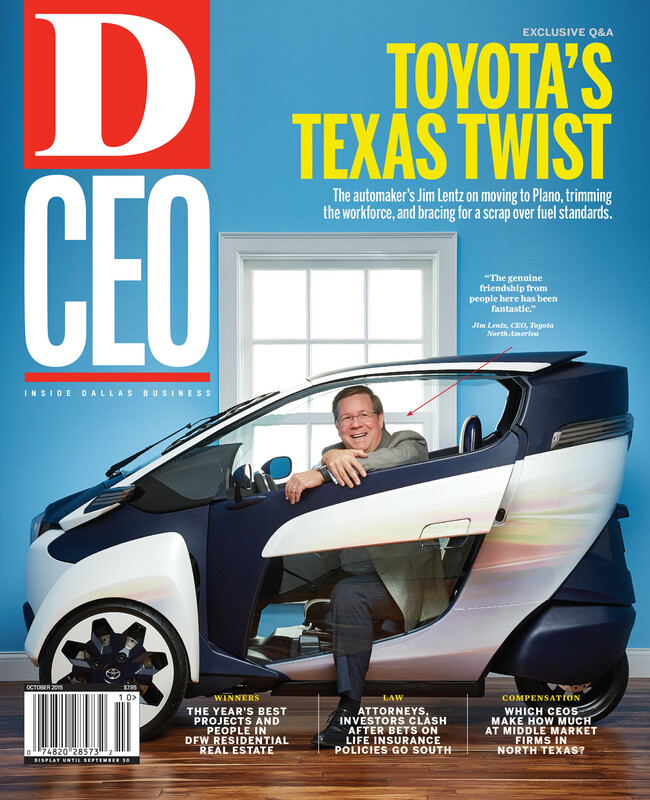 By Glenn Hunter | 4 years ago The automaker's Jim Lentz on moving to Plano, trimming the workforce, and bracing for a scrap over fuel standards. By Christine Perez | 4 years ago In one of the hottest housing markets in the country, these single-family and multifamily leaders stand out. By Paradox Compensation Advisors | 4 years ago With net income at DFW middle-market companies up an average of 31 percent, executives are being rewarded with serious pay hikes. By Hilary Lau | 4 years ago The managing partner of firm Thompson & Knight is a top tax litigator. By Dave Moore | 4 years ago A Waco company battles investors in its secondary market for life insurance in a Fort Worth courtroom. By Michael J. Mooney | 4 years ago The president of Bob’s Steak & Chop House talks about his start in the restaurant business. By Sean Kelly | 4 years ago The number of foreign consuls is growing with the city, but Houston still paces the state. By Taylor Little | 4 years ago The founder and CEO of Todd Interests on the lessons he's learned. By Sean Kelly | 4 years ago The CEO of Stream Energy loves auctioneering. By Matt Goodman | 4 years ago This car is happiest when the road ahead is wide open. By Miguel A. Quiñones | 4 years ago It's the key to ensuring an executive team has a concrete, shared purpose. By Matt Goodman | 4 years ago Doctors are making house calls again with a smartphone approach. By John G. Browning | 4 years ago The one-time billionaire takes on the SEC and the IRS. By W. Michael Cox and Richard Alm | 4 years ago Cultural, entertainment, and recreational perks may be attractive, but they give government room to raise taxes. By Steve Kaskovich | 4 years ago With access to money and scientific research, North Texas is a “sleeping giant” in the industry, supporters say. Be the most informed person you know with weekly updates from the editors of D CEO.